I’m a millennial – so naturally, I spend at least an hour on YouTube a day. While I personally despise those moments when I am enjoying a video and I am interrupted with a 20-second ad about the latest and greatest, I understand why these companies are doing it. I do work in marketing, after all. Social media advertising has truly influenced the way businesses market themselves as a whole, and YouTube advertising is no different. As the second largest search engine, YouTube is home to users who watch over one billion hours of videos a day. The average lifespan of a person in the U.S. is only 692,040 hours. Are you kidding? You would have to reincarnate over 1,440 times just to consume one billion hours of YouTube. I think I've made my point. There is a lot of people watching YouTube all the time. They spend so much time on YouTube, why not bring your business right to them? Your company may already advertise on other big-wig social media platforms like Facebook and Instagram, but here's why you should add YouTube to that list. As I mentioned previously, there are a lot of people on YouTube watching a lot of videos each day. On average, people watch 40 minutes of videos per session. With the ability to share short promotional video ads during these sessions, your company has a lot of opportunities to strengthen brand awareness and spread word about your business to new faces. Here are the top three benefits of adding YouTube advertising to your marketing strategy. Increased reach: With over one billion users, you have the ability to reach all new people who could even be potential prospects for your business. Niche targeting: Know exactly what audience you want to share your brand with. With YouTube advertising, you can properly target your audience based on your unique buyer personas and the ongoing goals you set out to accomplish. Budget-friendly: Advertising isn't one-size-fits-all, and there's no need to drop $1 million on a single ad. Create an ad with a budget and schedule that works for your business and your overarching objectives. Once you understand why you should advertise on YouTube, you should start considering what ad type you want to run. 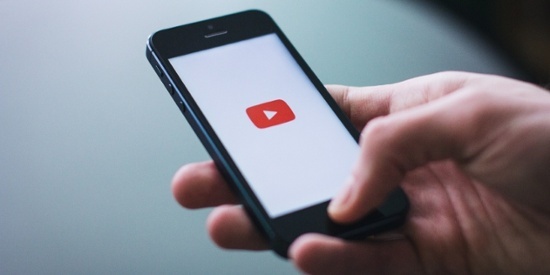 You're in luck: There are a variety of YouTube video ad options your business can choose. 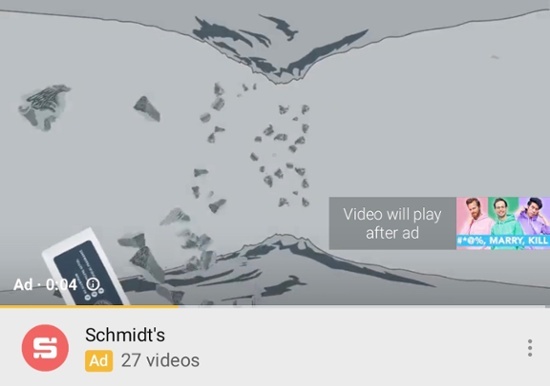 A skippable ad will reveal a "skip ad" button after five seconds. What are skippable in-stream ads? Skippable in-stream ads are ads that play before, during, or after a video. They can be skipped after five seconds. These ads can be up to three minutes long, but it is recommended to keep them under 30 seconds. Where do skippable in-stream ads show up? They can appear on YouTube watch pages, on partner site videos, and across the Display Network. When do you pay for skippable in-stream video ads? CPV (cost-per-view): Each time a user watches your ad for at least 30 seconds (the duration if your ad is shorter than 30 seconds), or clicks on your ad. CPM (cost-per-thousand-impressions): Each time your ad is shown 1,000 times. A non-skippable ad will read "video will play after ad." What are non-skippable in-stream ads? Non-skippable in-stream ads are ads that play before, during, or after a video. These ads must be shorter than 15 seconds but cannot be skipped. Where do non-skippable in-stream ads show up? When do you pay for non-skippable in-stream video ads? With non-skippable in-stream ads, you pay CPM. 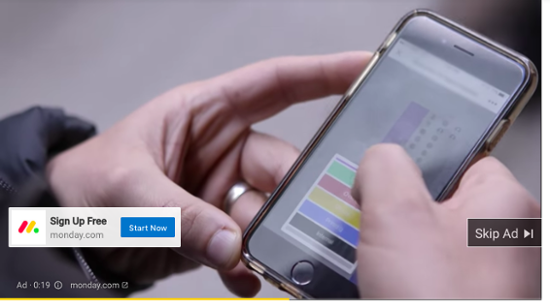 This discovery ad appeared while scrolling through the YouTube homepage on mobile. Unlike in-stream ads, discovery ads are created in the form of a video thumbnail and is accompanied by some text. Where do discovery ads show up? 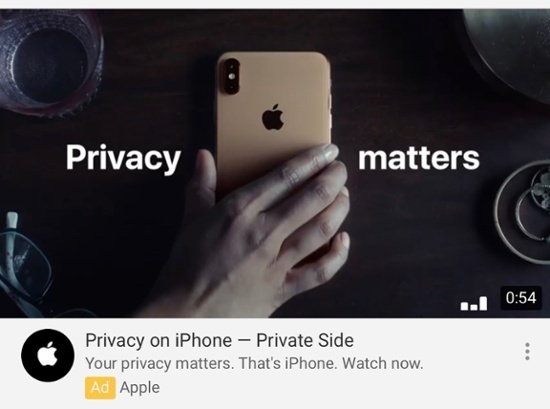 Like the name suggests, these ads appear in places of “discovery,” meaning the search results page, mobile homepage, or next to related videos on YouTube. When do you pay for discovery ads? You pay for discovery ads when a user clicks your ad thumbnail. This bumper ad appeared before a video began and lasted six seconds. 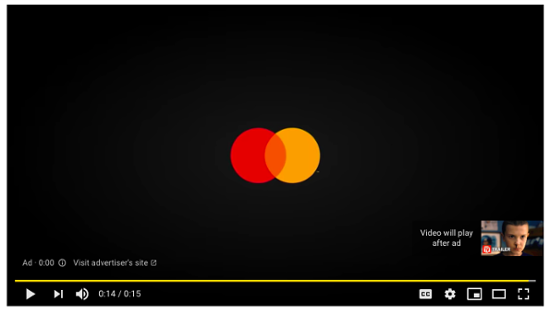 Bumper ads are non-skippable ads that play before, during, or after a video. They can be up to six seconds long. Where do bumper ads show up? 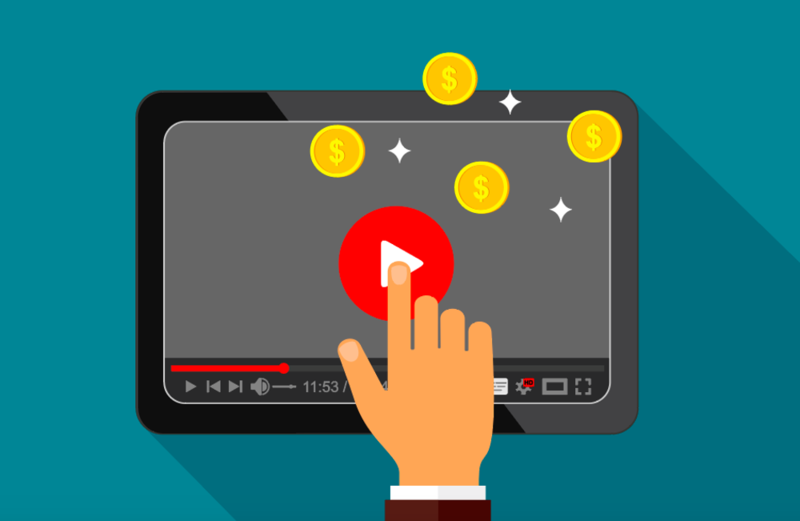 Just like skippable and non-skippable in-stream ads, bumper ads can appear on YouTube watch pages, on partner site videos, and across the Display Network. When do you pay for bumper ads? With bumper ads, you will pay each time your ad is shown 1,000 times (CPM bidding). Outstream ads are a little different than the other types of ads in that they are ads created only for mobile devices and tablets. These ads start automatically without sound, but a viewer can click on the ad to unmute the video. Where do outstream ads show up? Unlike other YouTube ads, outstream ads do not play on YouTube. Rather, they play on partner sites as well as in apps on the Display Network. When do you pay for outstream ads? Paying for outstream ads is also a little different. Rather than the traditional CPM bidding, you pay for these ads based on viewable cost-per-thousand-impressions, or vCPM bidding. This means, you will be charged each time your video is watched for at least two seconds with more than half of the ad screen showing. 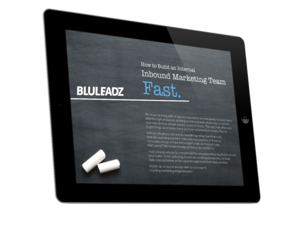 Align Your Ad Campaign Goal With Your Ongoing Initiatives. As always, your advertising efforts should mimic the quarterly and yearly goals you've set in place for your business. When deciding which YouTube ad is best for you, consider which goals you are trying to achieve. Keep in mind that depending on what campaign goal you select, certain ad formats will become unavailable. Consider Your Budget and Schedule Carefully. Unfortunately, advertising isn't free. It's important to consider how much money you're willing to put forth to get your desired results. When setting your ad budget on YouTube, you can select daily spend or campaign total spend. Daily spend: If you select this, you won't pay more than your daily spend times the average number of days in a month. Campaign total spend: If you select this, you will commit to a total budget for the duration of the campaign you are running. Setting a time frame for your ad is another important factor. If you don't have a lot of money to spare on advertising, you probably don't want to run an ad indefinitely. Target Your Audience Accordingly, But Don't Narrow It Down Too Much. You can also define your audience by their demographics, how they've been interested in your brand in the past (re-marketing), and interests your target audience might have. But remember: Don't go too far. The more you target your ads, the less eyes have potential to view your ad. So, in order to give your business the best chances of bringing in new prospects, target accordingly. Next time you find yourself on hour three of scrolling through pointless YouTube videos, think about how many ads you ran into. Then, think about one of those ads as your own. With YouTube ads, you truly can capture a large audience of interested individuals who would be great fits for your business. And, now that you know the opportunities that come with advertising on YouTube, you might want to step on it. Your competitor is probably finalizing their new ad right now.